Cici is a Sydney based freelance writer. For anyone longing for a taste of Vietnam, Cabramatta's the biggest slice of the real deal this side of the equator. 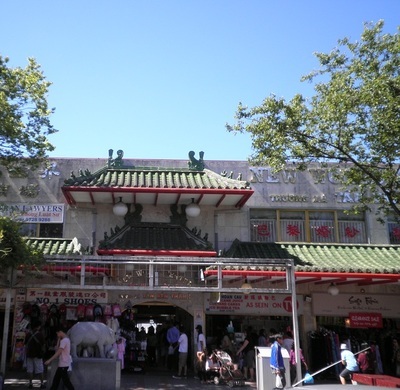 It owes its nickname, 'Little Saigon', to the strength of the Vietnamese enclave there, to where thousands make their weekly pilgrimage in order to satisfy this longstanding cultural craving. 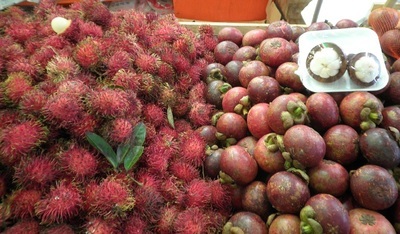 For my share of a juicy slice of Vietnam, I set foot into Cabramatta's shopping district, after a long visitation hiatus. The vigorous energy in this bustling cultural hub is hard-hitting at first but eventually, caught in its larger-than-life dynamism, the urge to re-explore this 'Little Saigon' turbo-kicks in. What strike me first are the swarms of shoppers cramped into countless narrow mall strips where scores of specialty shops overrun, ranging from duty-free to Asian green groceries with their medley of wares unashamedly spilling out onto the streets. On John Street, the main drag where the pulse of the cultural crux is felt strongest, elderly locals play Chinese chess to the tune of buskers busting out ethnic folk themes while being threatened to disappear underfoot in the path of weekend revelers. 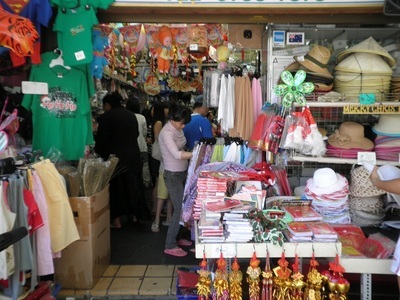 Folks of various nationalities hum around cloth merchants as Cabramatta's also well-known as the Mecca for textile. A Fijian lady tells me: "Tongans and Fijians like to come here to buy material because they're the kind they like: big, colourful flowers." Teeming with eateries, the Asian cuisine here gets the gold stamp of authenticity. Vietnamese, Chinese, Thai, Laos, Malaysian and Cambodian restaurants accommodate ethnic palates, while many unique food vendors hemming in around them sport their own take-away version of culinary riches from all around South-East Asia. Expect to bump into dishes like the salad persuasions of pawpaw or papaya with the peculiar addition of pig's ear or raw-fermented pork. 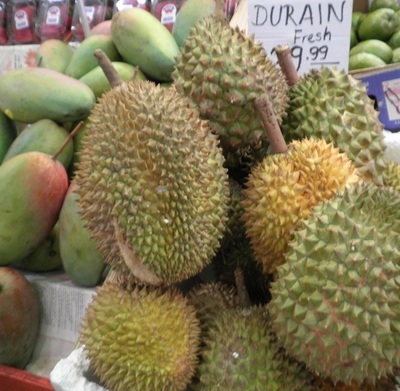 No stranger to some of Asia's bizarre 'culinary delights', it did take some special effort, however, for me to stomach the infamously pungent durian. It takes just a whiff of the fruit for the uninitiated to catch on quickly to its reputation. As an aside, I'm startled by how much Cabramatta's commercial scene has changed. While still maintaining much of its original gusto, it's now flashier and more cleaned-up: signs that it's evolving. Gone are the days when police chased down the old-timer street vendors - my late grandma, included – as they secretly stashed away their 'illegal wares' of home-grown herbs on the run. 'Make-do-with-what-you-can-find' shop-fitted, mom-and-pop outlets are dying out in favour of the up-market, trendier, clean-cut look of big-brand names popping up everywhere within the district. I prefer it when it was an organised commercial chaos à la Ho Chi Minh style, with dingy outlets and dirty, cluttered plaza strips. I'd welcome more of its characteristic slant on customs like that of merchants crying their wares from illegally-parked van-stalls and barbs dished out in Vietnamese heard over the furor of the crowd. After this most recent visit, I have misgivings that our 'Little Saigon' is morphing dangerously closer into a humourless, ordinary shopping mall. 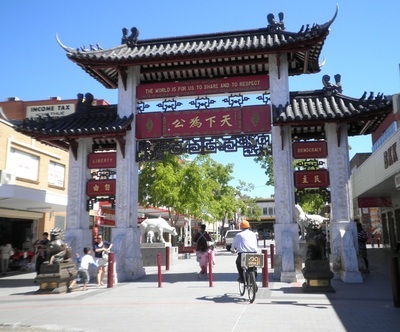 Before it loses more of its cultural charms to further standardised face-lifts, catch Cabramatta while it's still in its element. Why? Satisfy the craving for a slice of Vietnam. I appreciate your comments. It's lovely to hear your take on Cabra. For me, as a kid, tagging along with the grown-ups to shop there was always exciting -- even if you shopped there everyday, it was still like a festive occasion, every time. 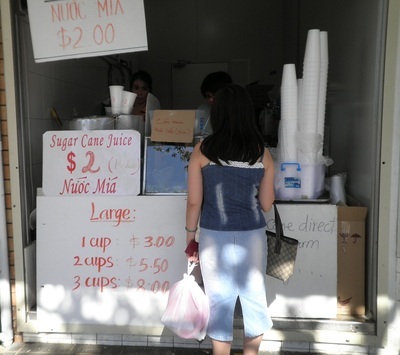 The festival nibblies served at Chinese New Year carnivals were available in Cabra everyday, anyway, so no wonder! And I agree with you that Cabra's still a wonderfully charged and fun place and it's great that you think the changes to it are for the better which shows it's still ever popular. 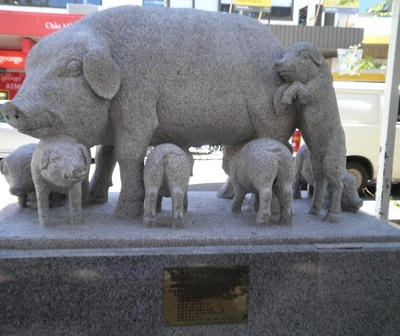 In my opinion, however, I think Cabra's become a bit too tame, or restrained, in the commercial sense. Of course, stricter regulations now come into play, today; but, back then, it was utterly raw, where it operated a lot like an open free market. This invited some healthy local competition and the result of that was the best of everything that was culinary and ethnic was found there. I'm just sorry to see the diversity of locally-produced ethnic food choices, and the level of its formerly relaxed and engaging commercial buzz, diminish. Change is inevitable but it would be nice to not chip away too much at some of the cultural highlights of the area. Kind regards and happy hols'. Ahh thanks for the reply.. I just figured that the "any excuse to let off fireworks" rule might apple, especially after seeing Cabra mentioned in the list of firework locations around Sydney on that other website.... thought having not found any other information, I guess it might not actually be happening.. you'd think if there was something, they'd advertise it a little better.. I don't believe there's anywhere in Australia that's officially named 'Little Saigon', although, I do see where you're coming from. 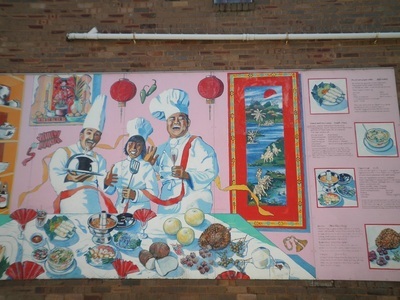 The small stretch of Vietnamese shopping strip that you're referring to, within Bankstown's commercial district, is formally called 'Little Saigon Plaza' and not the official 'Little Saigon'. 'Little Saigon Plaza' is actually more or less the name of the business model and design of the shopping centre there. I'm just drawing from experience from having attended the major festivities at Cabra in previous years here and I honestly haven't heard of fireworks ever going off on NYE as a main event in Cabra. Although, if it's a little private display then that's different. Cabra usually have fireworks displays for Chinese New Year around early Feb at either Cabra-Vale Park off Railway Pde or Cabramatta Sportsground in Warwick Farm off the Hume Highway and for the Lunar/Moon Festival around Sept at typical spots like Cabramatta Town Centre and its Freedom Plaza (shopping centre around John Street). If there is to be any major fireworks, it'd be at any of those spots.